Donna talks about career “counseling” versus career coaching. She discusses how to be who you are more hours of the day than not, and that it’s never too late to evaluate who you are, what are your natural inclinations, and what you were made to do. Donna’s fourth appearance on “Livin’ The Dream” — August 31, 2010. The topic discussed was “The Non-Financial Aspects of Retirement Planning.” To hear the interview click on the link below. Donna’s third appearance on “Livin’ the Dream” — June 1, 2010. This segment, titled After the Diploma, Donna answered questions she’d been recently asked about issues being faced by college graduates entering the workforce during our recovery from the recession. In addition, addressed the misconception that the unemployment rate is calculated using statistics on the number of people filing for unemployment compensation by describing the methods used by the Bureau of Labor Statistics to calculate the rate. Donna made a second appearance on the “Livin’ the Dream” radio show — March 9, 2010. The title of her segment was “Be Careful What You Ask For, You Just Might Get It.” In this segment Donna discussed the importance of being clear and focused when making choices about our life’s work, as well as, the need for clarifying the words we use to describe ourselves in both written and verbal communication. To listen to Donna’s March 9 appearance, please use the link below. 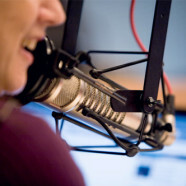 Donna Sandberg was first interviewed on the “Livin’ the Dream” radio show on December 1, 2009. She answered questions about the career counseling process, what it is and who might find it of benefit. Don't Wait! Call Career Path at 630-369-3390 TODAY! Copyright 2014 Career Path. All rights reserved. | Website Produced by Sirvatka Creative Services, Inc.